And with so many people making it clear they would pay for it to be fixed, or even offering to take over it themselves... what a waste. Yes, it is a shame. I'm still hoping for a small miracle. To be honest, there's no real replacement that works just as well as ComicRack, combined with the desktop version. I just hit this today and am just frustrated that the dev team won’t recompile and release an update. No new features but at least a build targeting iOS 11. Or even open it up to the community to support and not keep the code and kill the project. Last Edit: 1 year 9 months ago by mcpierce. 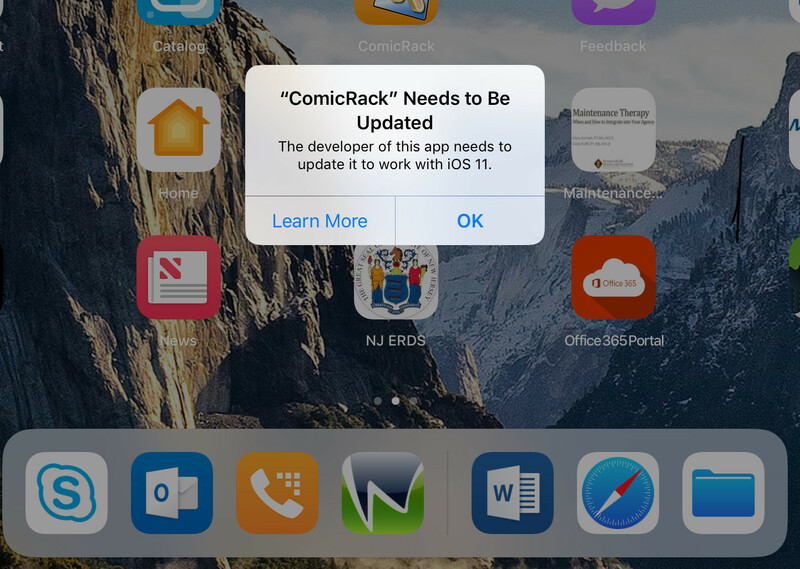 comic rack has not updated their app in Apple app store for a long time, so now the users who have new iPhone and ios latest version are finding difficulties.